I don't mean by this that it's an equivalent of Programming for Dummies. 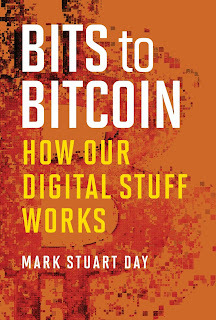 Instead, Bits to Bitcoin takes the reader through the concepts lying behind programming. If we think of programming as engineering, this is the physics that the engineering depends on. This is a really interesting proposition. Many years ago, I was a professional programmer, but I never studied computer science, so I was only familiar with the practical part, rather than the theory. And there's no doubt that I learned quite a lot, but it was distinctly hard work to do so. There are two problems here. One is that Mark Stuart Day is determined not to use code in examples, as he believes that it will scare off ordinary readers. So instead he uses analogies, some of which are so stretched that it's really difficult to follow what's going on - it would have been far simpler to have used actual examples from computing. I'm really not sure that the 'no code' approach works, because frankly, if you're prepared to put in the considerable effort required to work your way through this book, you wouldn't be scared of a little simple code. The second issue is that this really is a textbook with some of the sharp edges rubbed off. There's no context, no narrative, no people - nothing but fact after fact. Again, this makes reading the book much more like hard work than it needs to be. As I've already mentioned, that's not to say that you won't learn quite a lot if you make the effort - but things don't have to be like this. And the constant abstraction from actual code or hardware detail makes it more of a struggle to get through. This comes across particularly when Day gets on to the internet, where there pretty much has to be more specifics, and suddenly things get a touch more readable. 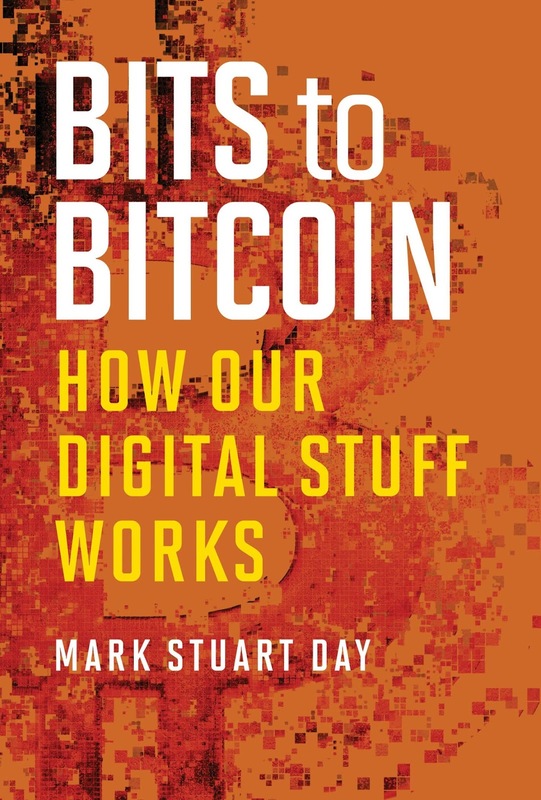 As far as bitcoin goes, I'm still waiting for an explanation of it that is comprehensible to the general reader. Again, Day does give us plenty of information, but it's not put across in a usefully comprehensible way. I was pleased to see, though, that he does address the issue that has recently been in the news that bitcoin mining is currently resulting in a lot of dirty energy being used. Overall, then, the intention of this book is brilliant - it's supposed to be proper popular computer science. It's just the execution of that intent that makes reading it a lot harder work than it should be.